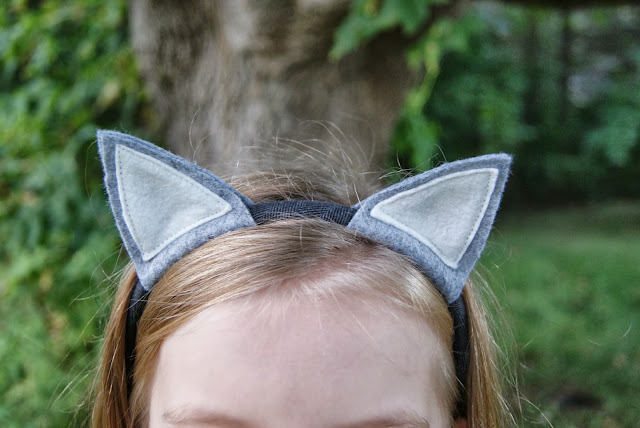 Felt cat ears for pretend play, dress-up, costumes. 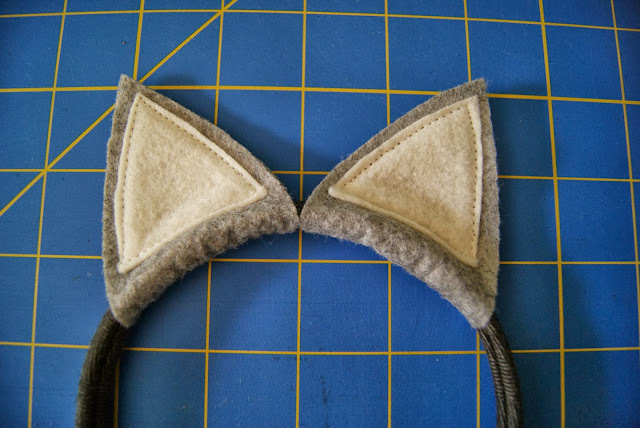 These are simple to sew felt ears that slide onto a headband. A super quick and easy project, too. With paper and pencil draw the 2 templates shown in the photo. The big ear piece is approximately 2.5 inches wide and 5.25 inches tall. The little ear piece is approximately 1.75 inches wide and 1 7/8 inches tall. 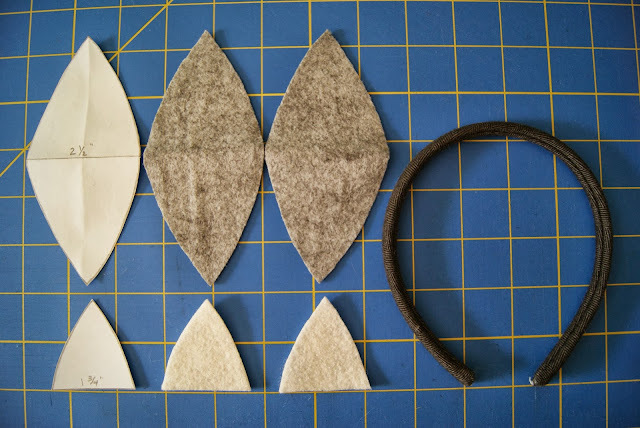 Use those paper templates to cut out 2 big ear pieces and 2 little ear pieces out of the wool felt. Fold a big ear piece in half, place a little ear piece on top. 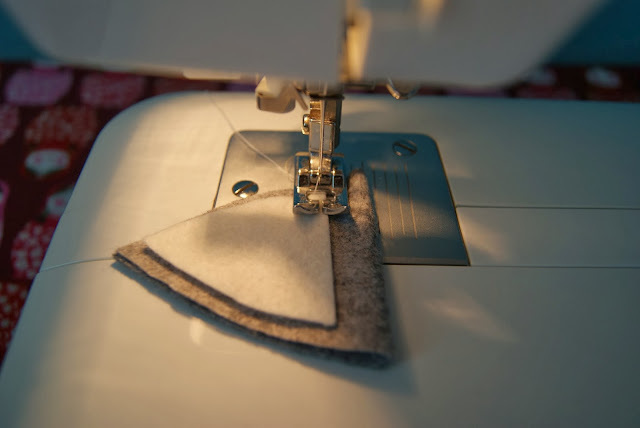 At the sewing machine topstitch around the little ear piece. Slide the cat ears onto the headband.